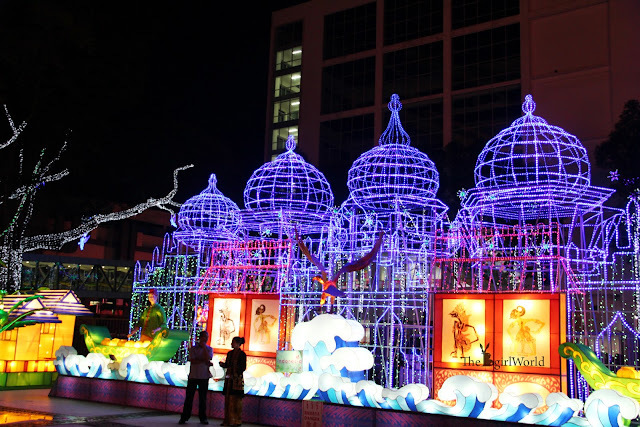 I I believe December is the busiest month for Malaysians because there are a lot of festival programmes going on every where. Besides of visit shopping mall for mega sales and christmas decoration, let's us celebrate festive in special way. This December, the nights will shine a little brighter, be prepare to be dazzled by The 'UNITY. 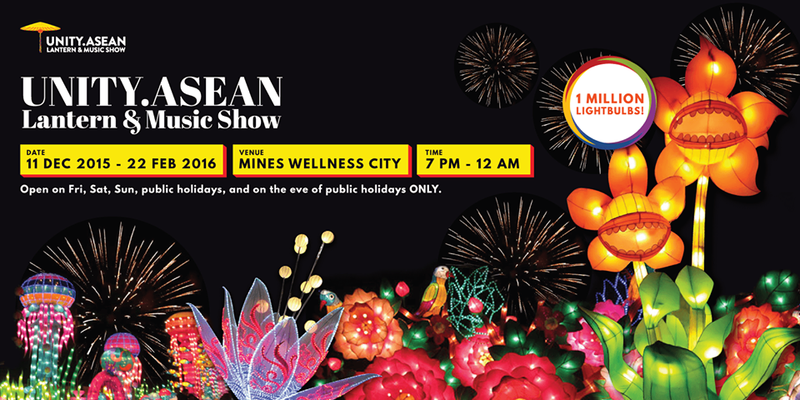 ASEAN Lantern and Music Show' at Mines Wellness City from 11 December 2015 onwards until 22 Feb 2016. 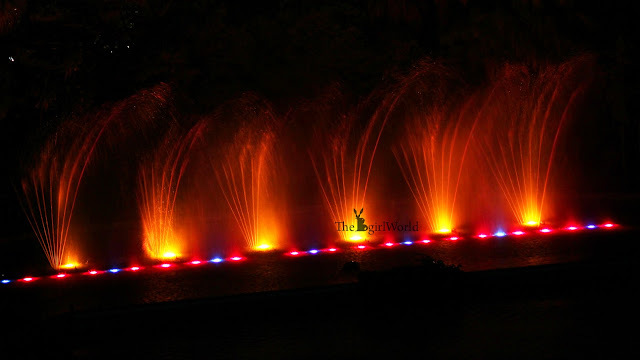 The 'UNITY. 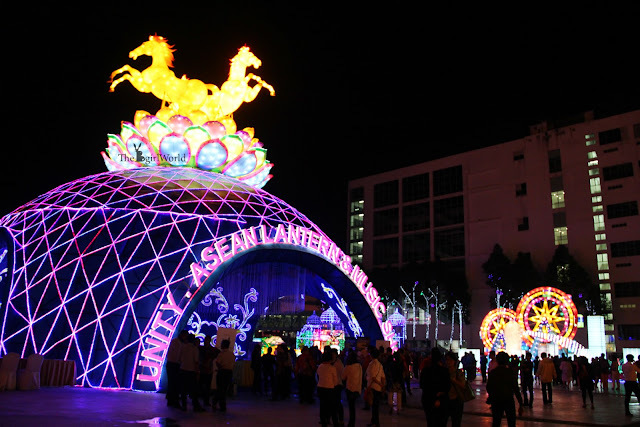 ASEAN Lantern and Music Show' is a 1 million lightbulbs blaze to life in a showcase of giant lanterns, some even over 5 stories height, from all the ASEAN countries including Malaysia, China, South Korea, Japan, Singapore and India. OH MY GOD! this is the biggest lantern show in Malaysia! Malaysia is a multi-ethnic and multi-cultural country. Due to its economic boom, it has become one of the most important members of ASEAN and with the introduction of The UNITY. 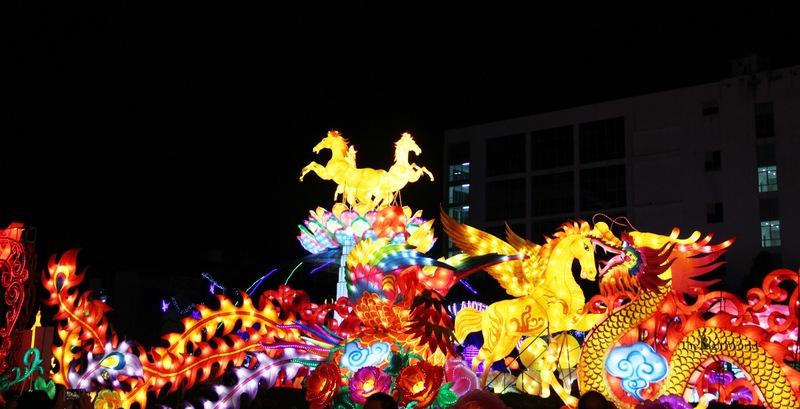 ASEAN Lantern Festival, Malaysia will be able to foster better ties with all the ASEAN countries. 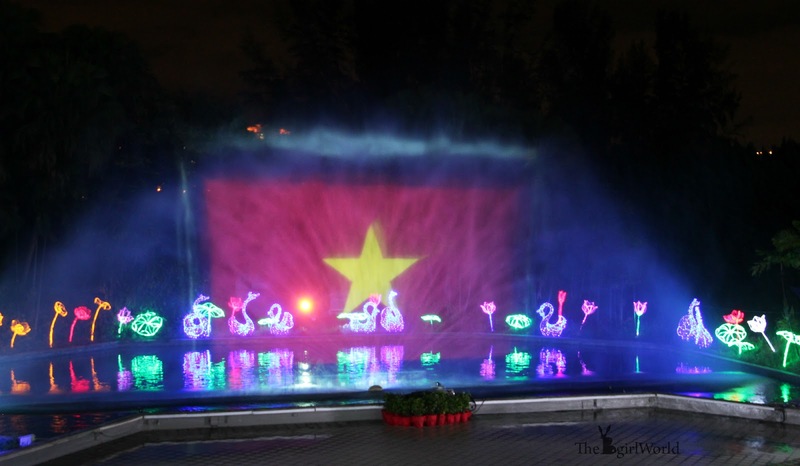 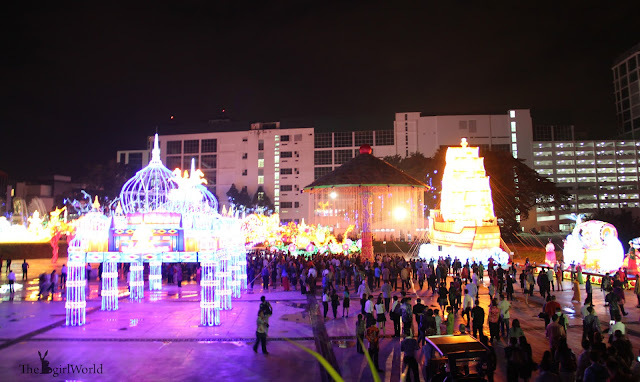 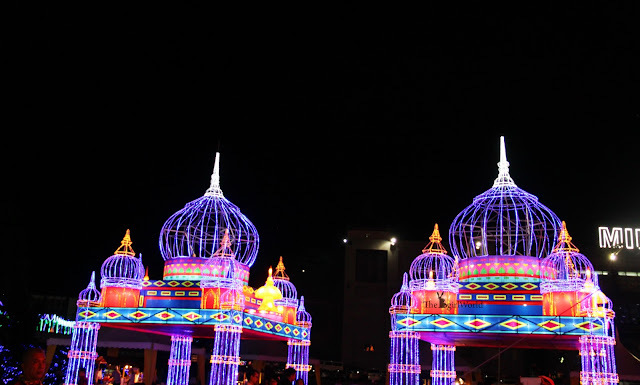 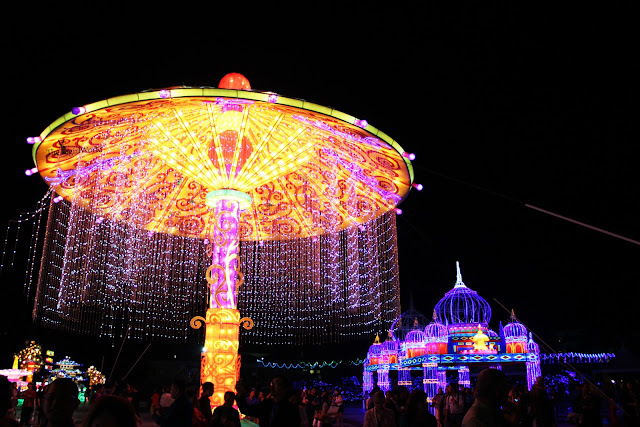 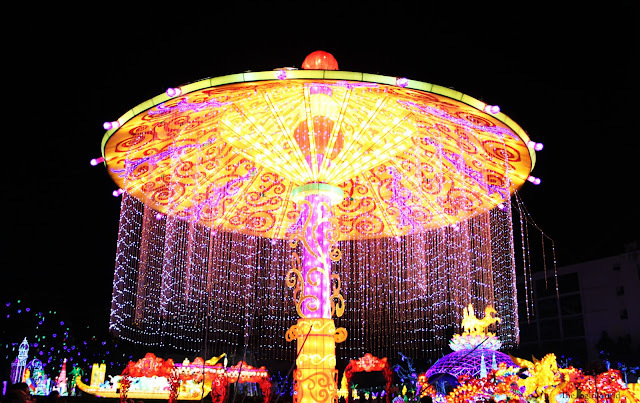 There are 1 million light bulbs with 22 giant lanterns representing the ASEAN 10+4 countries, 15 magical light scribes surrounding the Mines Lakes, more than 100 mini lanterns and 8,000 pieces in decorative lighting, blessing zone with mini lanterns, musical fountain for musical performances show and a 12-meter high Royal Lantern Umbrella. Visitors can also expect a treat during their visit with a wide spread of selected regional delicacies in huge ASEAN food festival, ASEAN product fests and special ASEAN week. 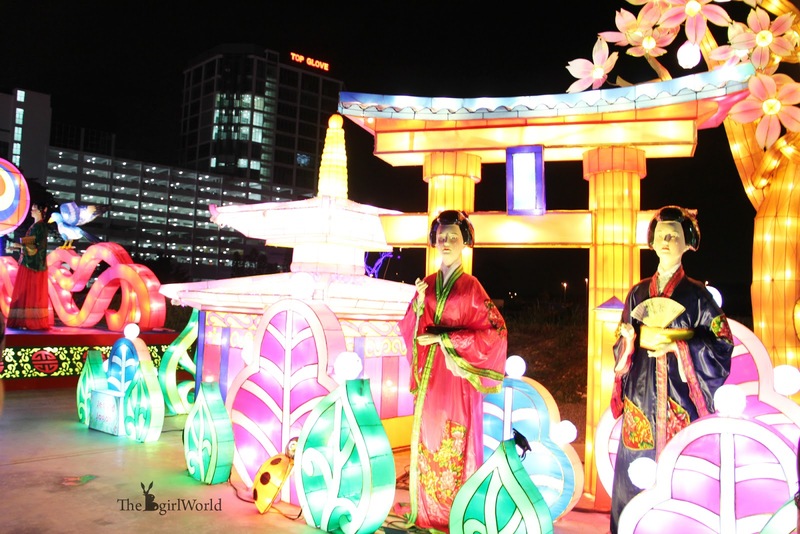 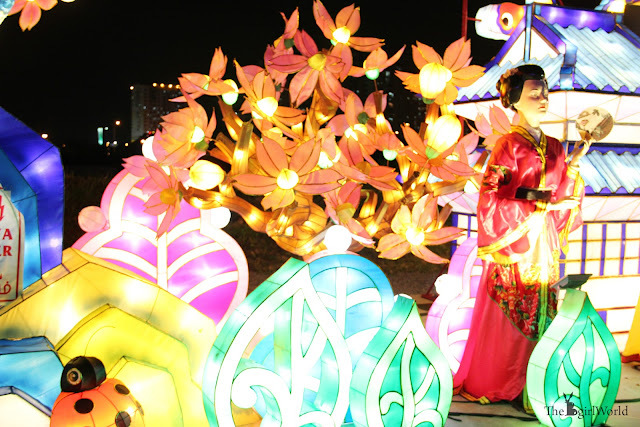 I was invited to 'entertained' my eyes with these beautiful lanterns, sculptures and cultural musical show. 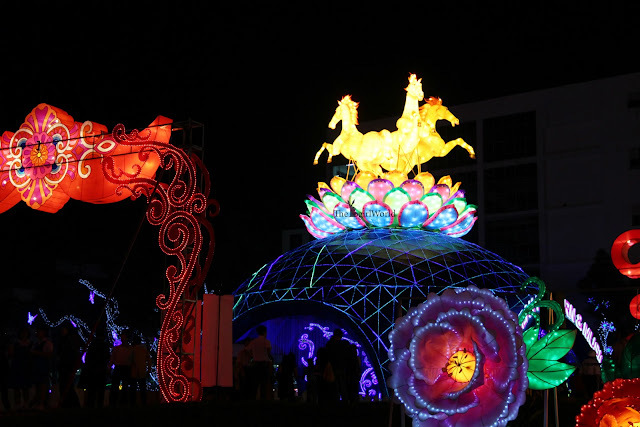 It's was really feast my eyes on this amazing array of giant lanterns lit up with 1 million blinking light bulbs! 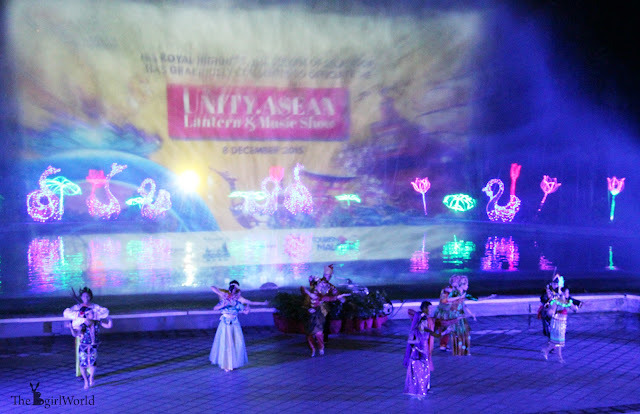 This event is officiated by HRH Sultan Sharafuddin Idris Shah Alhaj ibni Almarhum Sultan Salahuddin Abdul Aziz Shah Alhaj, Sultan of Selangor who will accompanied by Mentor Besar of Selangor, Tuan Mohamed Azmin bin Haji Ali; Deputy Secretary-General of ASEAN, H.E Dr Mochtan; ASEAN Ambassadors and representatives from various countries. This stunning 12-meter high Royal Lantern Umbrella is my favourite among all, it is so beautiful! It is made with auspicious objects and hanging lights, the lanterns will form a long and vibrant corridor. 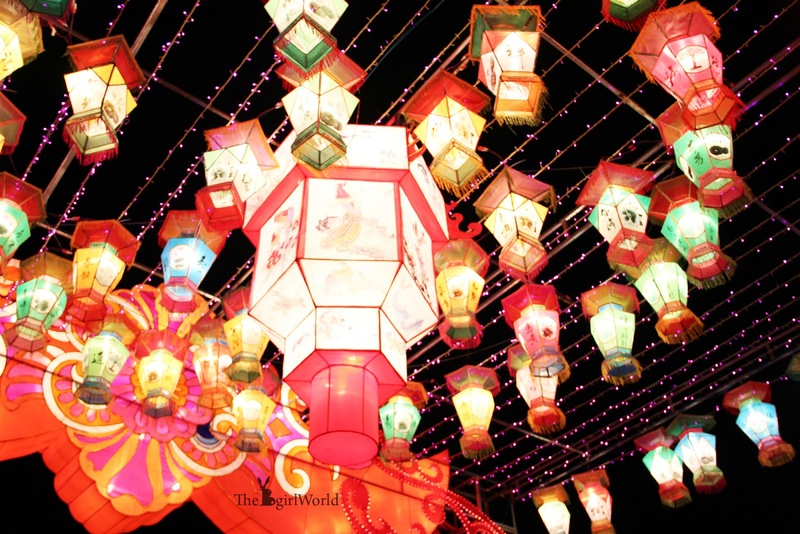 Visitors will be handed wishing cards for writing sincere message and prayers and attached to the lanterns. 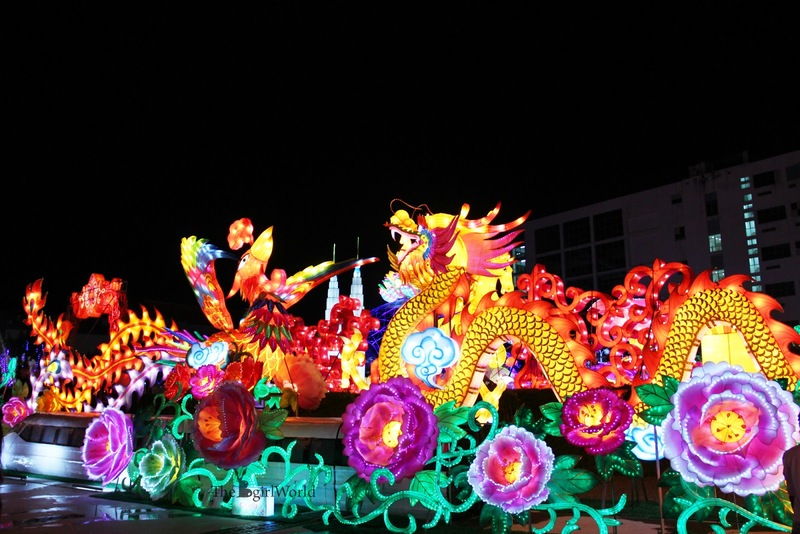 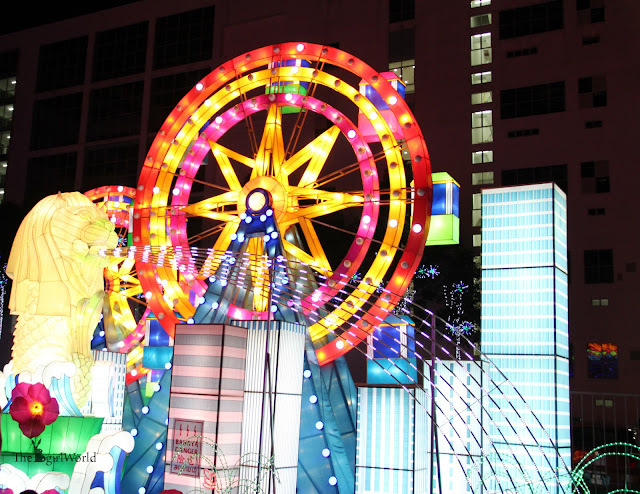 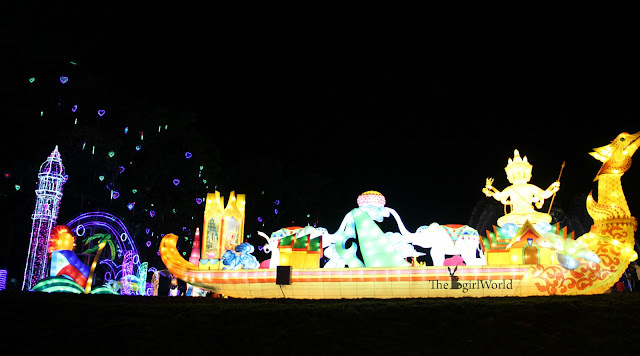 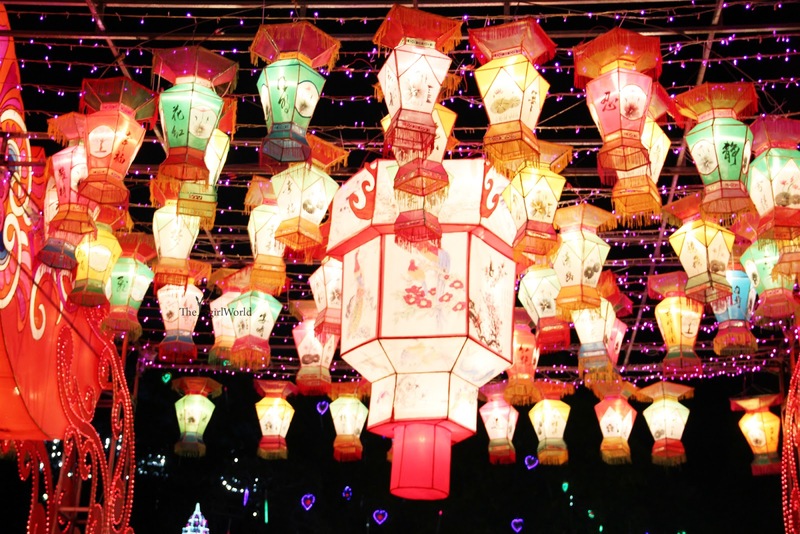 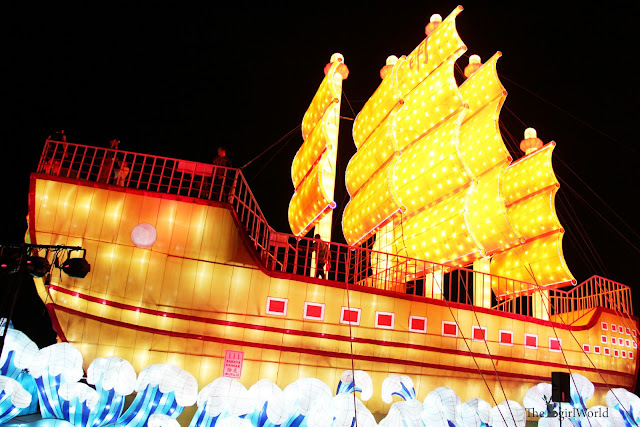 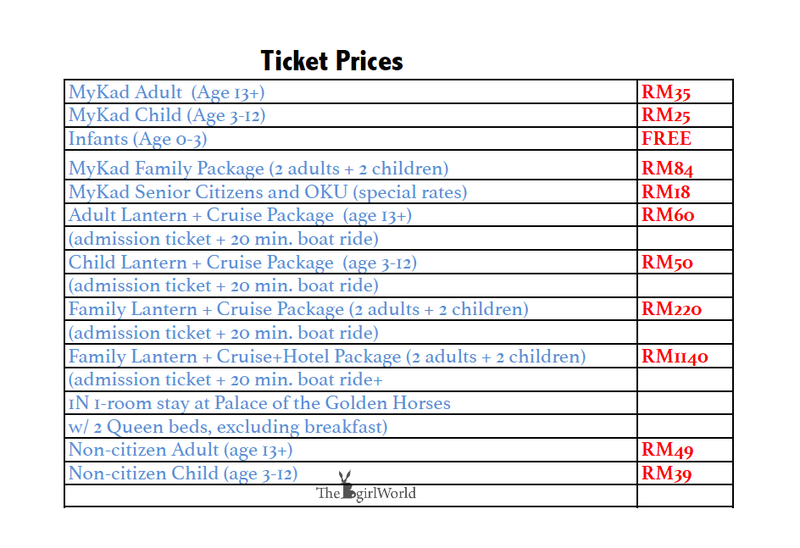 Are you ready to be amazed by this the biggest lantern show in Malaysia? 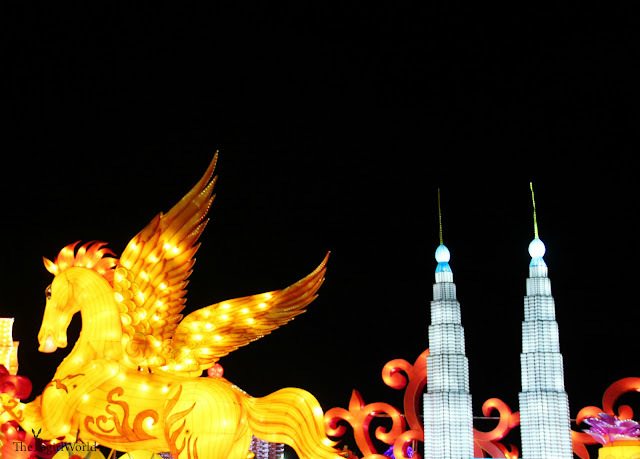 Opening hours : Every weekend (Friday to Sunday), public holidays and public holiday eve. From 7.30pm to 12.00 midnight. Please log into www.unityasean.com for more information. 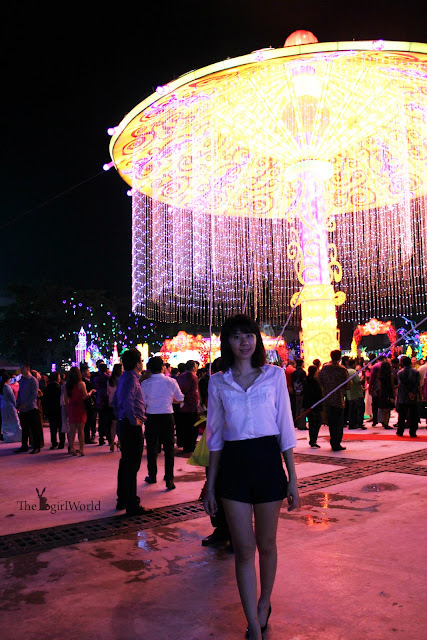 MISSHA, the first store in Malaysia! 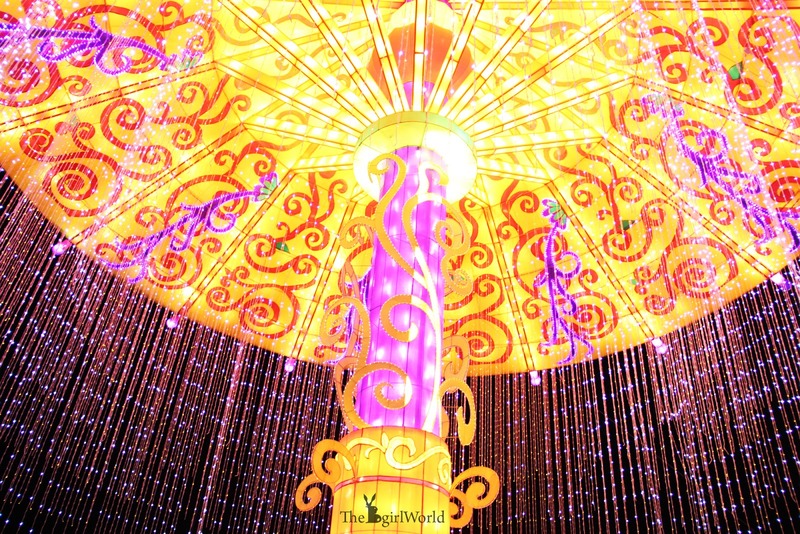 The Spiciest challenge I had! 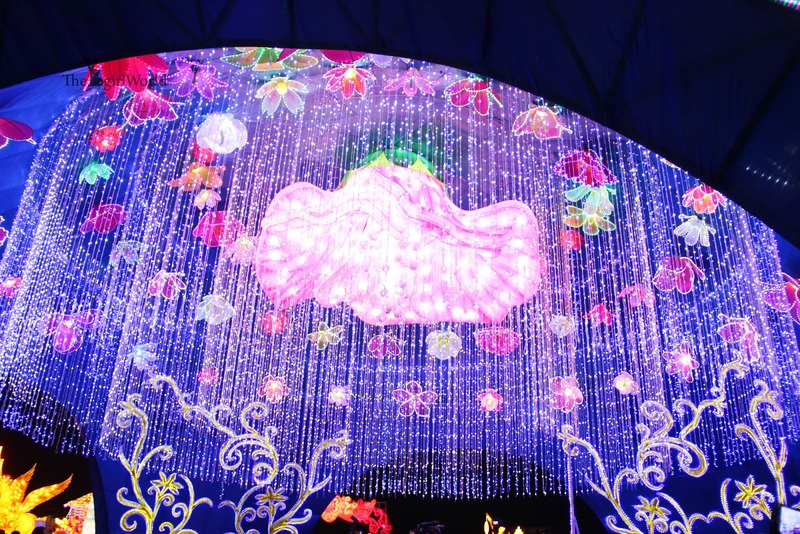 PINK by Pure Beauty, It's time to get pink!